Having gotten my first Renault just two short years ago, I have evolved into being a big fan of them, especially cars from this era. 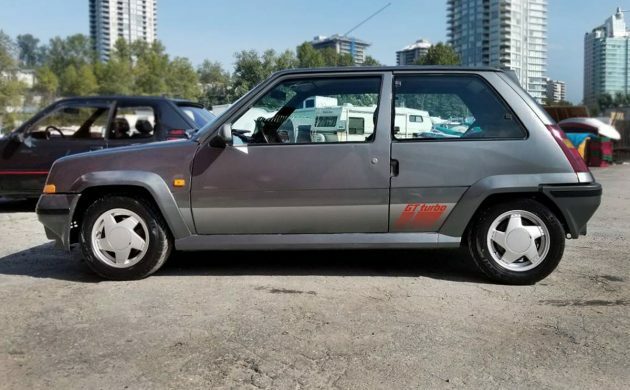 This 1990 Renault R5 GT Turbo can be found here on craigslist in beautiful Burnaby, British Columbia, Canada – just east of Vancouver. 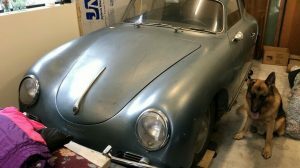 The seller is asking $14,995, which I’m assuming would be in Canadian funds? If you’re from the U.S. it would be $11,223. Thanks to Roger for sending in this tip! 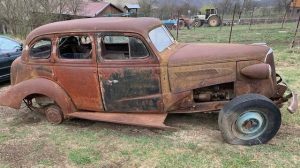 If you like quirky, this is the car for you. I think it’s fantastic, tight, boxy-cool and perfect, but that’s just my personal opinion. The Renault 5 or R5 was known as the LeCar here and this isn’t a standard R5 with body cladding. Well, it’s similar, but with a boost in power and handling. 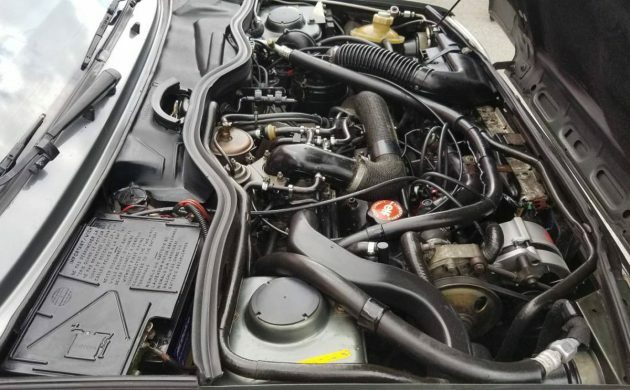 This car is in original condition, according to the seller, who adds that it has 83,000 km which would be around 52,000 miles for you non-metric folks. Some of you may remember that I have a 1987 Renault GTA which was a slightly tweaked Alliance with a little more power and better handling. It isn’t anything near the bump that an R5 GT Turbo would be but a few of the details are similar to my car. That steering wheel looks familiar, just like my ’87 GTA. 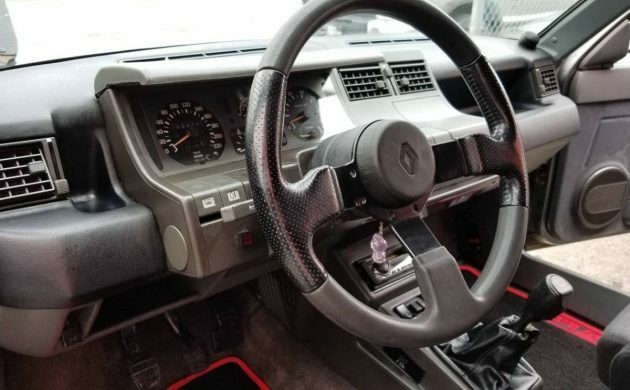 The interior in this car looks pretty much like new to me – it’s Renaultariffic. 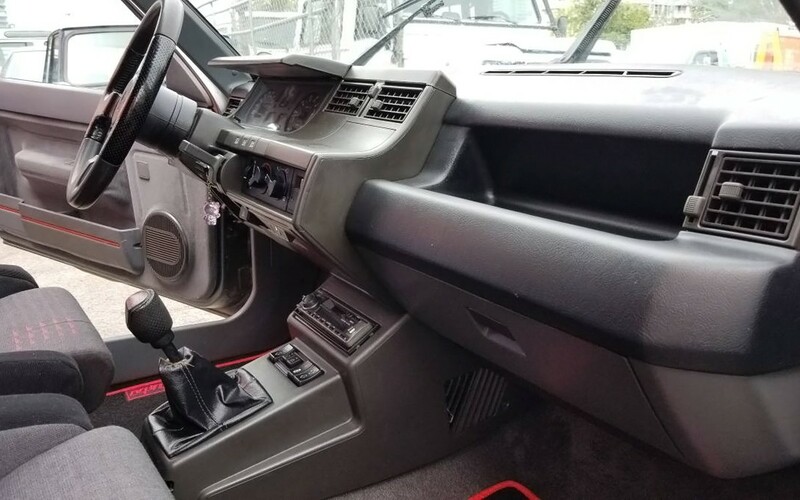 That dash has more contours, doo-dads, and layers than most that I have seen. 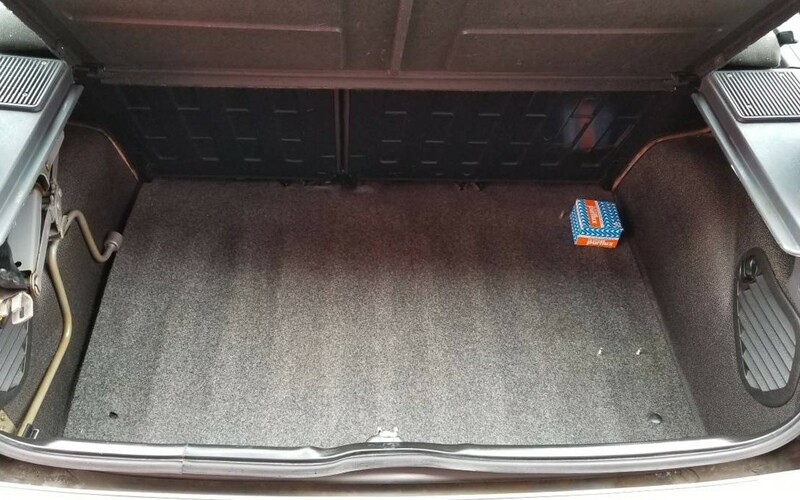 I have since restored my trunk and had a new hardboard liner and new carpet fitted and it looks great, but I think this GT Turbo looks even nicer in the boot/trunk area. I’ve got some detailing work to do in order to make my 2.0L GTA engine look as great as this R5 GT Turbo engine does. Or, what you can see of it under the hoses and wires. This is Renault’s 1.4L inline-four which with the turbo would have had around 115 hp and 122 ft-lb of torque. That’s about 15 hp more than my GTA has. There’s something 1980s cool about a turbo, not to mention that this car is 2 seconds faster to 60 mph than mine is. Have any of you owned or driven an R5 GT Turbo? I’ve owned countless 5T’s. There terrific. In RHD they can have annoying clutch cable problems but you lefty guys have no worries. Tungsten grey metallic classic colour. Buy it enjoy it. It’s in great shape and so few left now. Common in the day, they sold well. Were they not 158hp though? UK, I found info regarding the GT Turbo model having between 113 and 120 hp. The Renault 5 Turbo from 1980 to 1985 had 160 hp, maybe that’s what you’re thinking of? Could be Scotty … nice one. It was a vague memory. 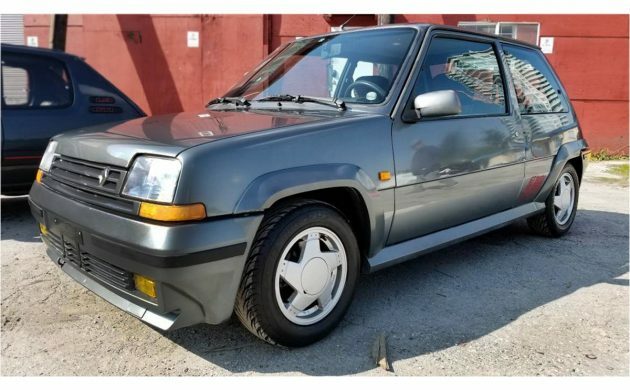 I remember them well but me and my mates drove Golf GTI’s, Astra GTE’s and later Sierra Cosworths at the time so we’re not really into the Renault scene so much although my first car was a Fuego. I do remember they were handy cars though. 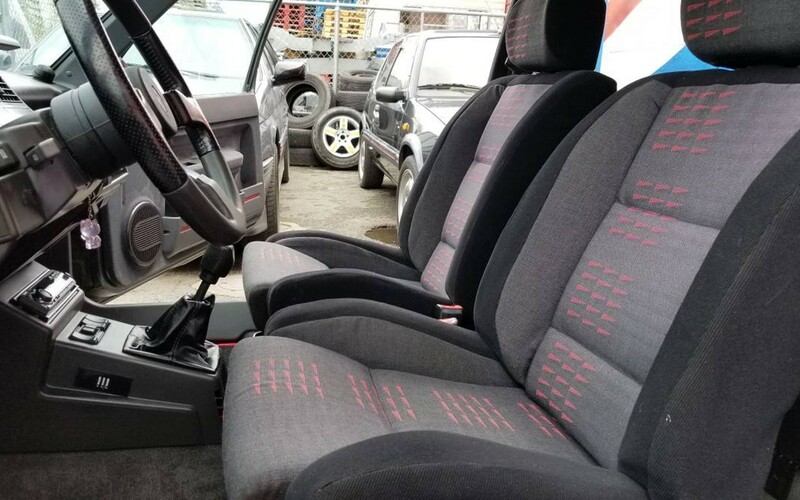 Pug 1.9 GTI too. Fantastic cars. Fast, economic and comfortable. Unfortunately a lot of them have disappeared in the UK thanks to boy racers writing them off so the ones that are left are fetching big money here. Same here in France. You can find some selling for 20k€…when they’re perfect. 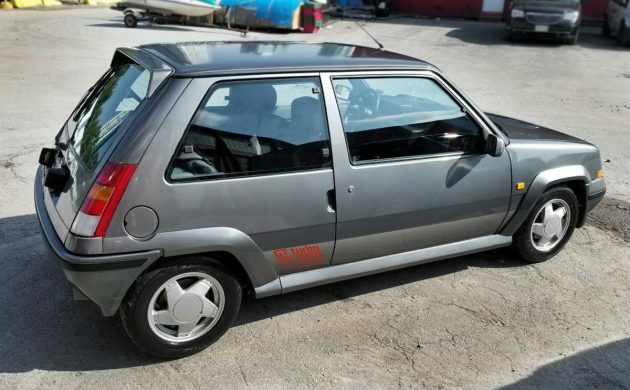 Drove one of these for a week while in France back in ’90 or ’91, Scotty, and had a chance to compare it with some other hotted-ed up hatchbacks, like the MG Metro Turbo, Fiat Uno Turbo and Peugeot 205 GTi. It seemed quickest to me, but I also recall spending a fair amount of time waiting for the turbo to spool up. As a (former) Renault owner, I would be interested in this, as I can still remember how well it rode and handled and how nice the seats were. But I’d also be scared off by the parts situation, as Renault never officially brought them to this continent, and even the cars they imported faced what might charitably be called “spotty” parts backup. The good side is that the engine, under all that plumbing, was a familiar, simple and pretty reliable piece. By the way: the car I really wanted to bring home from that trip was an Alfa 75 Turbo, but that’s another story…. 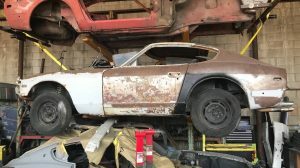 Another interesting import – thanks Scotty! The quirkiest thing I remember from the few times I drove an R5 or Alliance was the rubbery gear shifter that took some adjustment for anyone used to interpreting neutral as “the place where you can move the lever back and forth,” because you could wobble the stick around anytime you wanted whether it was in gear or not. The closest car I owned was my ’84 Dodge Colt GTS Turbo (by Mitsubishi). 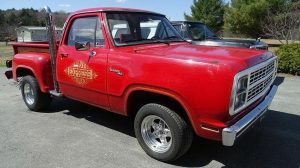 If I had one I would drive it often. Small, with delightful manual steering and brakes, it was the perfect car to improve someone’s driving skill. And don’t forget that a it weighs about the same as a loaf of bread! Commonly known as a Flying Machine & reliable as long as you don’t add too much Boost.